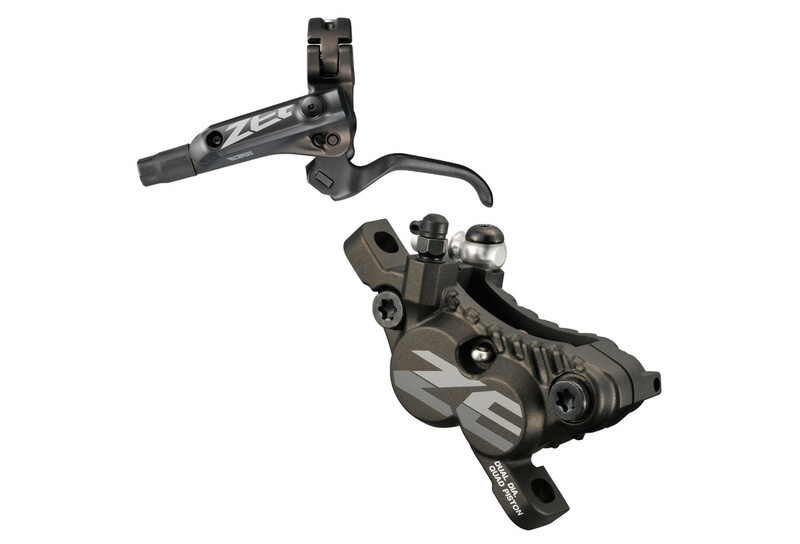 New Zee hydraulic disc brake systems are gravity rated with a Servo-Wave brake lever and new 4-piston ceramic disc brake caliper. System stiffness is tuned using Shimano’s high-power hose and shorter lever blade while ergonomics are perfected with a new pivot location and dimpled surface. ICE Tech brake pad and rotor options reduce heat in the system and maintain performance on the longest descents. quand vous dites levier gauche cela signifie freinage avec la main gauche? Bonjour cher client. Ce frein gauche est en effet pr&eacute;vu pour un freinage de la main gauche (frein avant). Sportivement. L'&eacute;quipe Alltricks.